**IN STOCK: QUALITY RAILROAD HAT PINS! 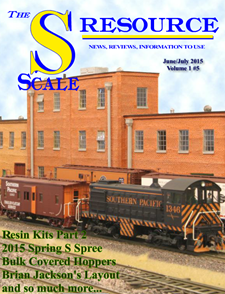 Looking for a unique gift for a true railroad enthusiast? Want a quality pin to adorn your railroad hat? 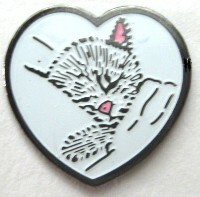 Or maybe you want a special and unexpected touch to decorate your shirt lapel? With a selection of over 90 quality hat pins to choose from, browse our Hat Pin Shop today to find your next railroad collectible! 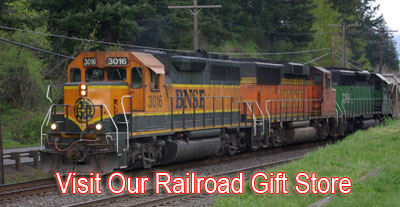 Let RailPhotosUnlimited.com be your ONE STOP SHOP for Quality Railroad Hat Pins! 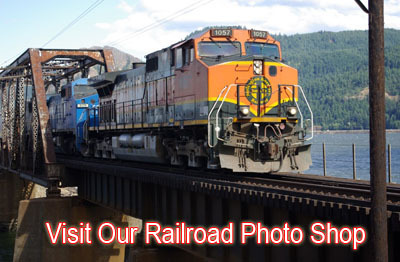 Rail Photos Unlimited has been a premiere supplier of railroad hat pins for over 30 years. This all metal Amtrak (Arrow) Logo Hat Pin would look great on your hat, lapel, or use it as a tie tack. Your railroad hat pin collection would not be complete without this beautiful all metal Amtrak Hat Pin! This all metal BNSF Railway (Burlington Northern Santa Fe Railway) Logo Hat Pin would look great on your hat, lapel, or use it as a tie tack. Your railroad hat pin collection would not be complete without this beautiful all metal BNSF Railway Hat Pin! This BNSF Railway Logo Hat Pin securely fastens to your hat with a clasp in the back of the railroad hat pin. This all metal Chessie Cat (Chesapeake & Ohio Railway) Logo Hat Pin would look great on your hat, lapel, or use it as a tie tack. Your railroad hat pin collection would not be complete without this beautiful all metal Chessie Cat Hat Pin! 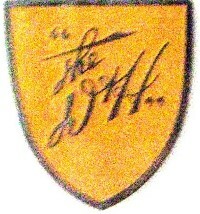 Chessie was a popular cat character used as a symbol of the Chesapeake and Ohio Railway. This all metal EMD (Electro Motive Division) Logo Hat Pin would look great on your hat, lapel, or use it as a tie tack. Your railroad hat pin collection would not be complete without this beautiful all metal EMD Hat Pin! This all metal Norfolk Southern Railway Logo Hat Pin would look great on your hat, lapel, or use it as a tie tack. Your railroad hat pin collection would not be complete without this beautiful all metal Norfolk Southern Railway Hat Pin! This all metal "I Love Trains" Logo Hat Pin would look great on your hat, lapel, or use it as a tie tack. Your railroad hat pin collection would not be complete without this beautiful all metal "I Love Trains" Hat Pin! This all metal Missouri Pacific Railroad (Mo-Pac Screamin Eagle) Logo Hat Pin would look great on your hat, lapel, or use it as a tie tack. Your railroad hat pin collection would not be complete without this beautiful all metal Missouri Pacific Railroad Hat Pin! 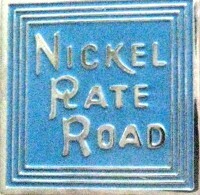 This all metal Nickel Plate Railroad (Nickel Plate Road) Logo Hat Pin would look great on your hat, lapel, or use it as a tie tack. Your railroad hat pin collection would not be complete without this beautiful all metal Nickel Plate Railroad Hat Pin! This all metal New York Central System (New York Central Raqilroad) Logo Hat Pin would look great on your hat, lapel, or use it as a tie tack. Your railroad hat pin collection would not be complete without this beautiful all metal New York Central System Hat Pin! This all metal Clinchfield Railroad Logo Hat Pin would look great on your hat, lapel, or use it as a tie tack. Your railroad hat pin collection would not be complete without this beautiful all metal Clinchfield Railroad Hat Pin! This all metal Delaware & Hudson Railway (The D&H) Logo Hat Pin would look great on your hat, lapel, or use it as a tie tack. Your railroad hat pin collection would not be complete without this beautiful all metal Delaware & Hudson Railway Hat Pin!